Positive: Slim size and light weight; elegant design; excellent selfie camera. Negative: Short battery life; poor main camera. Positive: Great built quality; decent performance; nice cameras. Positive: Beautiful design; good performance; nice display; fast fingerprint sensor. Negative: Mediocre speakers. Positive: Decent speakers; nice cameras; beautiful design; good price. Positive: Nice design; waterproof; fast fingerprint sensor. Positive: Impressive design; nice display; good speakers. Positive: Elegant design; support waterproof; nice display; good speakers; fast fingerprint sensor. Negative: Short battery life; poor cameras; no dual SIM. Positive: Decent hardware; nice performance; good price. Negative: Mediocre design. Positive: Elegant design; nice display; good price; large battery capacity. Negative: Low performance; poor cameras. HTC U11 Life with Android One is the next best thing. It’s one of the “mid-range Pixel” made under the auspices of the Android One program. There’s a lot to like about the U11 Life. At half the price of the HTC U11 or Pixel 2 but with a lot of similar perks, the U11 Life Android One looks great on paper. It runs a stock+ version of Android Oreo, augmented by a full-fledged version of HTC Edge Sense and HTC USonic audio tuning. It comes with guaranteed OS updates for two years and security patches for three via Google’s Android One program. Rather than Gorilla Glass wrapped around an aluminum frame like the U11, the U11 Life puts a Gorilla Glass front on top of a polycarbonate frame with an acrylic back panel. Changes in material choice are pretty standard in a mid-range phone. For this phone, it is changed to plastic. It sounds hollow, is very light and scratches much easier than a glass-backed phone. 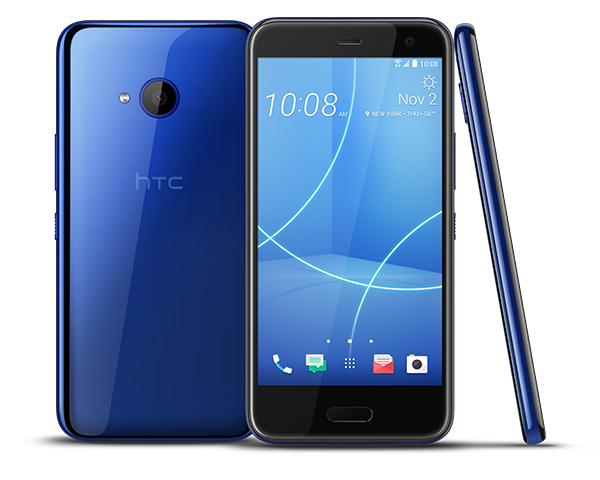 However, the HTC U11 Life has basically the same bezel situation as the flagship U11. The U11 Life uses its large bottom bezel to house capacitive navigation buttons and a solid-state fingerprint scanner. The navigation buttons work fine and can be constantly illuminated or switched off entirely. It’s a bit of a shame HTC didn’t offer on-screen navigation buttons as an option. The fingerprint scanner is reliable. There’s a microSD card slot in the nano-SIM tray on the top edge of the phone, which lets you expand the 32 or 64GB of built-in storage. Those versions come with 3 and 4 GB of RAM respectively, with the 4GB/64GB version being an online exclusive available only via HTC.com. The mid-range Snapdragon 630 chipset lies at the heart of the U11 Life. While it might have been nicer to see a 660, the 630 is still used to good effect. With its IP67 rating, the U11 Life can withstand submersion in a meter of freshwater for up to a half hour, which is a nice addition to a mid-range phone. Like other U11 models before it, the Life doesn’t have a 3.5mm headphone jack. The U11 Life also supports always-listening hotword detection, NFC, VoLTE and Wi-Fi calling, and Cat. 11 download speeds of up to 600 Mbits/s and uploads of up to 75 Mbits/s. The 5.2-inch Full HD display on the HTC U11 Life was a very nice surprise. The Super LCD panel offers rich colors, good dynamic range, stable viewing angles, decent if not exceptional outdoor visibility (in excess of 500 nits). HTC’s Edge Sense is a particularly nice addition to the U11 Life. Despite the Android One software experience, HTC managed to get a fully functional version of its squeezable frame technology on board. The HTC U11 Life runs Android Oreo out of the box, with a guaranteed update to Android P and Android Q thanks to Android One. Android One devices are also assured security patches for three years, putting a very healthy shelf life on a mid-range phone. 75.95%: This rating is not convincing. The laptop is evaluated below average, this is not really a recommendation for purchase.